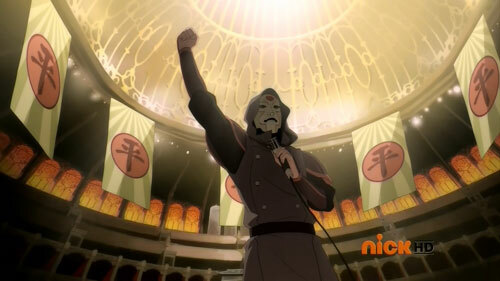 In episode 6 of The Legend of Korra, "Korra Gets Cheated," Amon attacks the Pro Bending Championship. 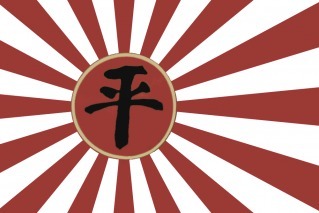 Midway through his attack, his followers hang banners with his symbol throughout the arena. What does the symbol stand for? I noticed it looks symmetrical. Is it a Chinese symbol for equal or equality? The character is 平 píng. It means equal, flat, or level. It can also mean calm or peaceful. It is used in both Japanese and Chinese, and it can be used a both a verb, an adverb, and an adjective. 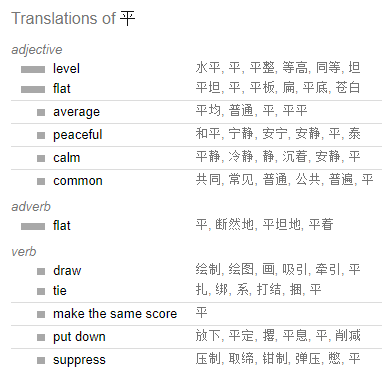 It means level/flat (Google Translate). What is the subset of Airbending? What stops other benders from mastering the four elements? What happened to Sokkas sword after the invasion? What is the last names of these characters in Avatar? What happened to the Lion Turtles? What was the purpose of pausing on this photo in the Legend of Korra? What was the cause of Avatar Wan's death?